The Tekakwitha Conference is the Voice, Present and Identity of Indigenous Cathoic of North America inder the protection and inspriation of Saint Kateri Tekakwitha. As members of the Tekakwitha Cenference inspired by Saint Kateri Tekakwitha, a young Mohawk/Algonquin woman of the 17th century, renew our faith and reaffirm our baptismal call as followers of Jesus to proclaim the Good News. 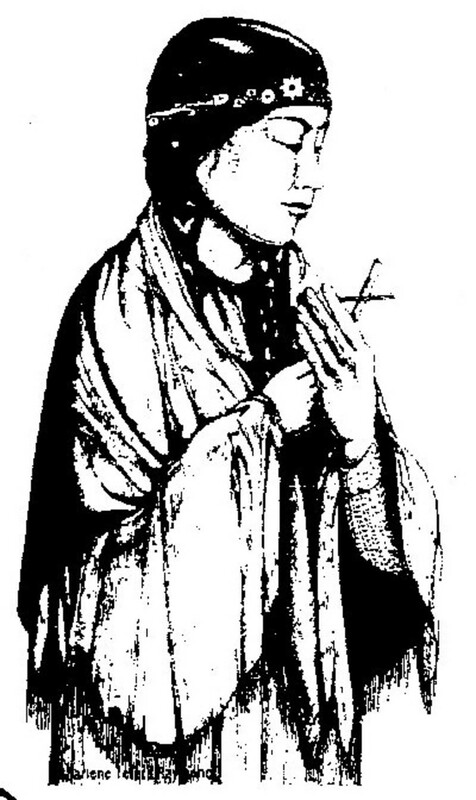 We pray with faith and hope for the continued intercession fo Saint Kateri Tekakwitha in the lives of all Peoples. Promote healing through forgiveness and reconciliation. Adovcate for peace and justice in our Indigenous communities. Victoria Alvarez, Terry Lujan, Juana Casillas, Antonia Perez, Carol Gomez, Gloriann Mendoza, Olga Gonzales, Josephine Ramon, Mary Grace Jose, Bro. Andres Rivera, S.T. Eliza Juan, Marilyn Savala, Betty Lewis, Virginia Vasquez, Gloria Lopez and Rafaela Verdugo. The Kateri Circle of St. Kateri Tekakwitha Parish meets every Thursday at 10:00am to St. Kateri Tekakwitha Parish, with morning praying of St. Kateri Rosary, Chaplet, Litany and Devotion. The local Kateri Circle ministry reinforces Catholic Identity, affirms pride in our cultures and spiritual traditions and promotes healing through forgivness and reconciliation. It advocates for peace and justice in our indigenous communities to build stronger catechesis that is meaningful to indigenous Catholic People. It nutures the relationship between indigenous people and the Catholic Church and empowers Catholic Indigenous People as leaders within our communities and church. 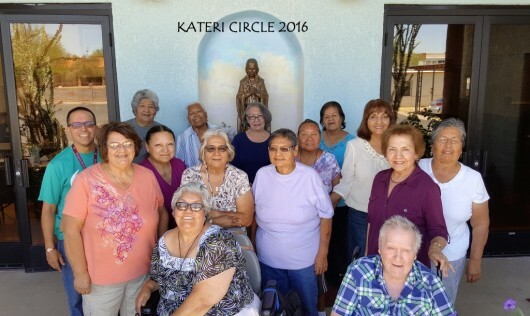 As part of the Pima West Viacariate and faith and culture, Kateri Circle members travel to surrounding missions and villages to attend district meetings, pray rosaries at vigils, participate in feast day activities and to attend Kateri Circle meetings. The circle receives prayer requests and visit persons in the hospital to pray St. Kateri's rosary. Throughout the year the Kateri Circle sponsors numerous faith and culture activities. They hold a very successful Lenten Retreat for the Parish community. The circle also holds numerous fund raising activities. 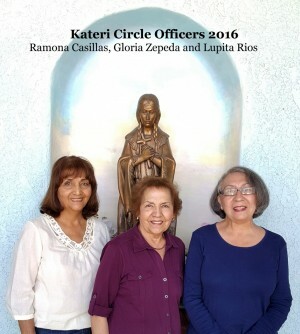 Members of the circle attend the Annual Kateri Tekakwitha Conference held in different cities throughout the United States. If you have prayer requests, a rosary request or a request for a hospital visit, please contact Virginia Cerna at 520-396-0927 or St Kateri Parish 520-622-5363.